Enough said, apparently. What follows are 25 quotes from people like Maya Angelou, MLK, and Ginger Rogers. Work is good! Everybody should work! And a little shame can't hurt, says Henry Ford in Quote #24: "Nobody can think straight who does not work. Idleness warps the mind." Bonus for the fashionistas: "Rules like 'don't wear white after Labor Day' or 'shoes matching the handbag' are antiquated. Modern women should feel free to experiment." 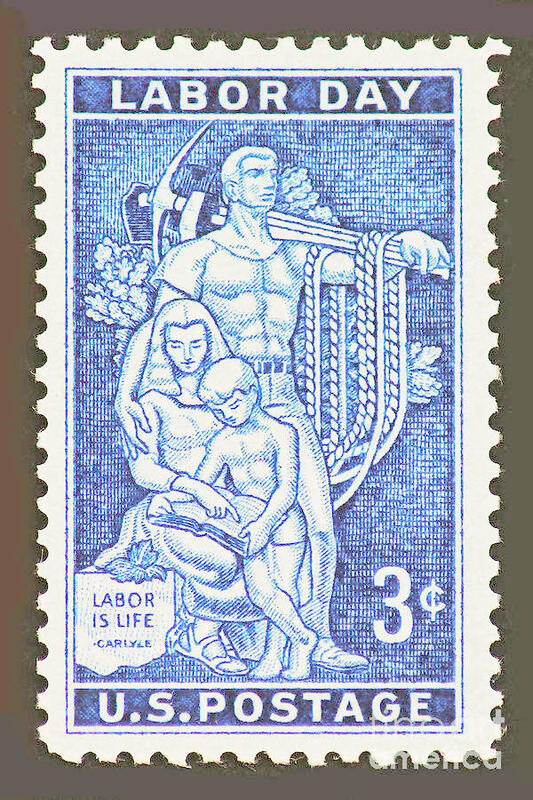 But Labor Day is traditionally a celebration of organized labor and a reminder of the sacrifices that came before. It's a union-invented holiday, celebrated by all workers everywhere, union or not. As I write this, Joe Biden is giving his annual Labor Day speech in Pittsburgh, talking about how productivity went up about 73% while wages went up only 9%, and. . .
Bernie Sanders: Stand Together and Fight Back. L.A Times: Uncertain Times for American Labor. Dylan Petrohilos (ThinkProgress): Seven Union Heroes to Remember. Ben Railton (TPM): The Forgotten Radical History of Labor Day. AFL-CIO President Richard Trumka: This labor Day. This is our day to enjoy. To celebrate our successes. We've earned it.